Back in February 2009, the White House projected 3.5 million jobs would be created by the end of 2009 if they passed their jobs stimulus package.Actual job creation results were published on Friday, December 18th, 2009 on one of the U.S. Government’s House Ways and Means Committee’s websites (Click to View). Instead of President Obama’s new 3.5 million jobs, the U.S. had already lost over 2.6 million jobs by the end of November 2009. The White House’s estimated new jobs for the state of Alabama was to be 52,000; instead, Alabama lost 30,700 jobs. Sarah Palin’s Alaska was to gain 8000 jobs, but instead lost 3,300. The state of Arizona was to get 70,000 new jobs, but instead lost a close 67,900 jobs altogether. Mike Huckabee’s Arkansas was to gain +30,000 new jobs, but the razorbacks lost 9,800 instead. The Guvun-ator was to get 396,000 new green jobs for California but instead he lost 342,600 “bad old” polluting jobs. This is fun isn’t it? Let’s go to Colorado: should have gotten 59,000 but instead lost 54,300 jobs. Senator Joe Lieberman’s Connecticut was going to get 41,000 new jobs but lost 37,000 instead. Delaware was supposed to get 11,000 by December 31st, but instead lost 11,400 by November 30th, 2009. The District of Columbia (that’s where the President and the Congress live and work (they didn’t lose their jobs)) was supposed to get 12,000 jobs, but they lost 2,400 jobs instead. Florida, the Sunshine State, was to gain 206,000 jobs, but instead lost 175,300 jobs. Georgia, instead of gaining 106,000 jobs, lost 118,500 jobs. Hawaii didn’t get their new 15,000 jobs, they lost 22,000 jobs instead. Idaho didn’t get their 17,000 new jobs, they lost 12,000 jobs instead. Obama’s home state (how you like him now Chicago!) Illinois hasn’t seen their 148,000 jobs, they saw 153,200 more folks in their unemployment lines though. Indiana hoosiers didn’t get their promised 75,000 new jobs, rather, they lost 66,000 jobs. Iowa: nope, not 37,000 new jobs, but they did lose 20,800 jobs. Kansas lost 47,100 jobs instead of gaining 33,000, Kentucky democrats were expecting 48,000 new jobs, but lost 42,100 jobs. Louisiana Obama democrats — bless their hearts down there after Katrina — “oo-wee I guaran-most told you so” — or as Emeril would say it, “BAAAM!” The cajuns lost 37,000 jobs instead of their expected 50,000 new jobs. Maine lost 17,100 jobs instead of gaining 15,000 new jobs. Maryland lost 27,900 jobs instead of gaining the promised 66,000 jobs. Massachusetts, Ded Kennedy’s state, looked for 79,000 jobs but lost 41,400 jobs. Michigan — you know the state that has all those bailed-out GM plants — was supposed to get 79,000 jobs but instead lost 112,600. Minnesota — isn’t that AL Franken’s state? Stuart Smalley lost you 46,300 jobs after promising you 66,000 jobs. Mississippi didn’t get their 30,000 jobs; they lost 18,500 instead. Missouri — the “Show-me”-the-jobs state — The democrats showed you alright. You didn’t get your 69,000 jobs, you lost 38,100 jobs. The Big Sky state of Montana didn’t see 11,000 new jobs, you guys lost 5,200 jobs. Nebraska +23,000? No, 11,100 jobs lost. Harry Reid convinced Nevada to gamble on Obama and they lost 11,000 jobs instead of getting 34,000 new jobs. NOW FOR A NEWS UPDATE: New Hampshire didn’t get their 16,000 new jobs, they lost 13,000 jobs. New Jersey expected the democrats to win for them 100,000 jobs, but they instead lost 61,700 jobs. New Mexico looked for 22,000 new jobs for illegal aliens but instead lost 15,700 jobs. New York lost 127,000 jobs instead of gaining 215,000 new jobs. North Carolina lost 77,300 jobs instead of getting their 105,000 new “shovel-ready” opportunities. Let’s see, did we leave anybody out? One of those northern states that border Canada… maybe not. Ohio didn’t see their 133,000 new jobs, they lost 85,300 jobs instead. Oklahoma cowboys lost 34,000 jobs instead of getting 40,000 new jobs. Oregon liberals haven’t seen their 44,000 new jobs the democrats promised them, they lost 42,100 jobs. Arlen Specter didn’t get Pennsylvania their promised 143,000 new jobs, they lost 103,000 jobs. Rhode Island was promised 12,000 new jobs but lost 12,000. No they didn’t break even, they realized 24,000 fewer jobs than they were promised. South Carolina didn’t see their 50,000 new jobs, they lost 18,700 instead. South Dakota — don’t they have a north too? — They lost 2,400 jobs instead of gaining 8,000 jobs. Tennessee was to see 70,000 new jobs, but lost 50,700 jobs instead. The soon to secede state of Texas would have added 269,000 jobs if it went the way Obama said it would, but it didn’t go that way and they lost 147,100 jobs. Utah didn’t see an additional 32,000 jobs, they lost 33,000 jobs. Vermont did not add 8000 jobs as promised, they lost 1,800. Virginia lost 44,400 instead of gaining the promised 93,000. Washington State lost 69,000 jobs instead of landing 75,000 new jobs. West Virginia didn’t see 20,000 new jobs, they lost 6,800 jobs instead. Wyoming didn’t get 8,000 new jobs, they lost 14,300 jobs. Not a state in this country added any new jobs — wait a minute — North Dakota did. They were the only state to gain jobs. While they didn’t gain the 8000 new jobs they were promised, they did gain 2,400 jobs — and they did it themselves. As of the end of November 2009, this country lost 2,645,400 jobs. When you add the 3,460,000 jobs promised by the democrats, the total jobs the Democrats have lost America is 6,105,400 (6.1 million) jobs. How’s that “hope and change” working out for YOU? 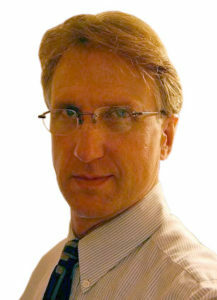 Russ J. Alan’s politically conservative articles have appeared on several websites such as USDailyReview.com, USAToday.com, WSJ.com ( Wall Street Journal online) USNews.com, NPR.org and RenewAmerica.com. Russ served in the former Strategic Air Command (1978-1980) and United States Air Forces in Europe (1980-1982) during the Cold War under Jimmy Carter and President Reagan (1980-1982). He served at Royal Air Force Upper Heyford, England, the air base from which the 1986 F-111 bombings of Moammar Gaddafi in Libya were launched, also one of the NATO bases closed later by Bill Clinton. After working in mechanical engineering (1983-1992), Russ was involved in business development, marketing, and the financial sector (1992-2001). He then worked in commercial construction (2001-2006). Currently Russ is an adventurist and a columnist who writes political, economics and business articles. Russ enjoys playing his baby grand piano, the guitar, mandolin, blues harmonica and other instruments. He enjoys cooking, home beer brewing and gardening. Visit Russ’s website at RussJAlan.com. You can e-mail him at Russ@RussJAlan.com or on Russ J. Alan’s facebook page.